Every once in a while we want to make a large cushion. This cushion might work in a variety of spaces – bedroom, lounge, play room, etc. This class is delivered in 2, 3 hour sessions. 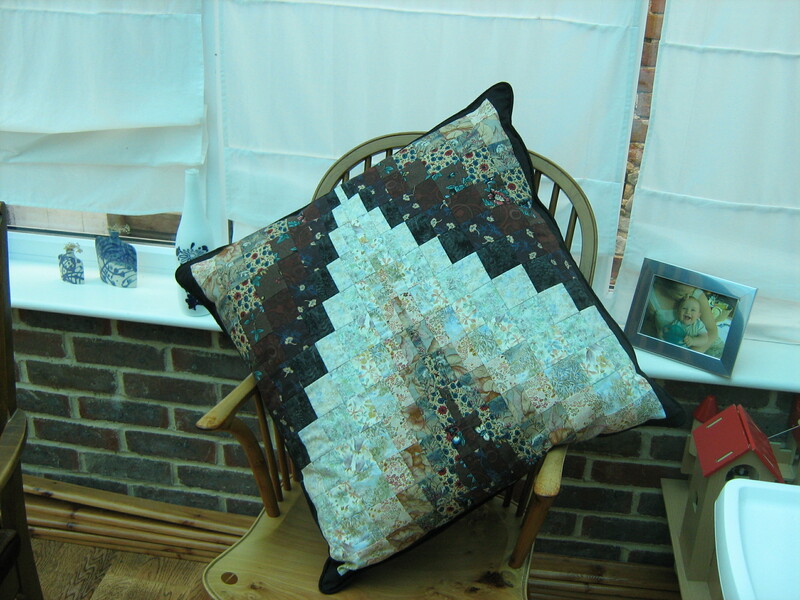 This cushion adapts the bargello method from cross stitch to use in quilting. An enjoyable and fun class. Join us to make this floor cushion which can be stuffed with a pillow and duvet or sleeping bag, all set for unexpected visitors. Whatever you fill it with it will be well used and admired. It also will make a striking wall-hanging. Taking a few strips of fabric to make a super cushion –requiring systematic and careful sewing and cutting skills to make, you will be very pleased at your result. You will need to be a thorough and careful sewer, comfortable with a sewing machine and cutting mats and cutters and used to quilting terminology. Bring your lunch and your sewing machine.